I guess everything is bigger in Texas! Just wouldn't have the proper &quot;ring&quot; to it. Let's hope they wash their hands when they are done. Though tex is in my handle, I am actually from the east coast. However, my company has a lot of projects in Texas. I first thought that's gotta be posed / joke. 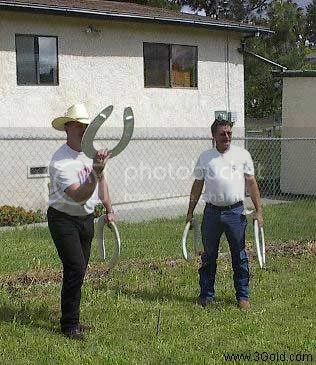 Then again, I have seen a number of towns with city operated horseshoe courts in tx, and I think it may even be a competitive sport here. Probably not with toilet seats though. View Next Unread Governmental Reliance Syndrome - Are you infected?